It’s that day filled with candied hearts, flowers, and chocolates! If you haven’t picked out the best Valentine’s gift for your special someone, be it human, horse, or of the dog or kitty variety, here are 4 ideas. Horsegirls tend to love tack. Many of us are connoisseurs, so a piece of tack for ourselves is a nice gift. Your local tack shop, most likely, offers clever nameplate bracelets that you can customize with your name, your horses/dogs/cats name, your stable name, or whatever you might want to adorn your wrist with. They are typically a great price point and a good last-minute gift for yourself or all your other horsegirl “Galentines” friends! Okay so this seems like a no brainer but what hard working horsegirl (or horseguy) doesn’t love a little sweet now and again? Harbor Sweets sells the cutest equestrian themed chocolates and there’s always your local shops typically filled with a plethora of chocolate varieties this time of year. Bring an entire box to the barn to share! I received my first Tucker Tweed (the Lexington in Scarlet) in 2012 just in time to sling over my shoulder at the London Olympics! 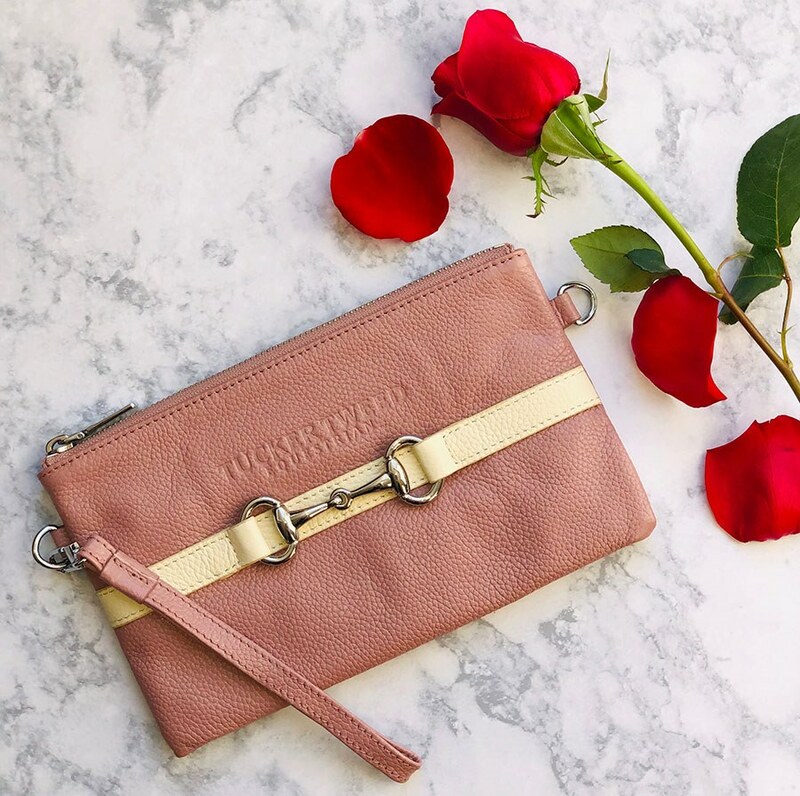 Founder, Jill Tweedy, designed a luscious line of equestrian inspired bags embossed with her signature TT, foxhunting, dressage, and hunter/jumper too! Want to show your horse how much you love them on Valentine’s Day? Horsey love via hugs and training praise come easy. Add a little oomph by stopping at the market for some apples, carrots, and peppermints. Arrange the bounty in a nicely shaped heart in the pasture then turn your beloved steed loose to enjoy the buffet. Easy, happy, healthy!